Due to an official business, I can not be with you today in London, but through this video message I want to offer my warm congratulations to the China Business Conference 2013. I believe the timing of this conference could not be more fitting. I have learned that the theme of this conference will focus on drivers of China’s future economic growth and how to seize opportunities of cooperation with China. The Chinese economy has been growing at a stunning speed for three decades. Several years ago some people raised doubts about whether China can maintain such fast growth for another three decades. · Shift the economic growth model to boost productivity. · Speed up urbanisation to generate new demands of investment and consumption. · Raise incomes and improve social welfare so that people can spend more. · Strengthen education and training to create a new ‘demographic dividend’. · Deepen the ‘reform and opening up’ as policy guarantee to further unleash the potential of the economy. I am confident that with the above driving forces in place, the Chinese economy will continue to grow steadily for another three decades. · One is to build China into a well-off society by 2020. · The other is to build China into a modernised country that is rich, strong, beautiful, democratic, culturally advanced and harmonious by the middle of this century. I believe sustained economic growth of China is really excellent news for British companies. · You will see a larger export market and a more rewarding investment destination. · Your technologies and IPRs will be better protected and generate more returns. · You will see more tourists from China, and they will create more jobs and business opportunities for British tourist and retailing sectors. · You will see more Chinese state-owned and private enterprises make investments, open branches and set up regional headquarters in Britain. Their business will cover wide sectors ranging from finance, infrastructure to creative industry and telecommunications technology. 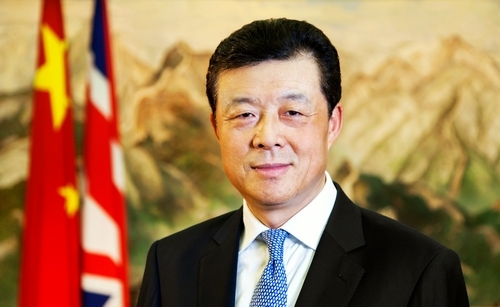 · You will see expanding off-shore RMB business in Britain. This will strengthen London’s status as an international financial hub and make easier trade settlement between our two countries. What is opportunity? These are all opportunities. My message to you is this: Let us seize these opportunities and work together for win-win. In conclusion, I want to thank CBBC for its long-standing commitment to China-UK friendship and China-UK economic cooperation. I hope the CBBC will play an even bigger role as bond and bridge linking China and UK. I wish the China Business Conference 2013 a great success!